Carousel Horse Musical Figurine - 7721A Discounts Apply ! 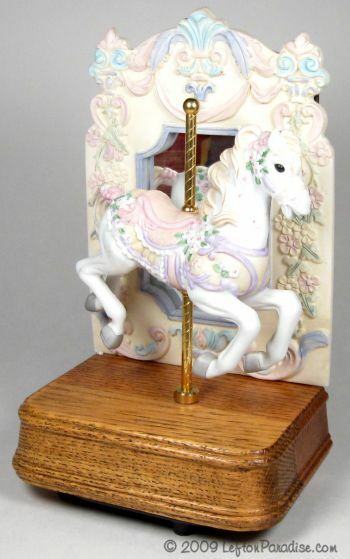 Carousel horse figurine in Original Box. Oak base with mirrored backdrop, the horse goes up and down as the music box plays "Camelot". The figure stands 9 inches tall and is in flawless condition. It is dated 1989 and marked 7721A with a Lefton crown sticker and Lefton trademark sticker.